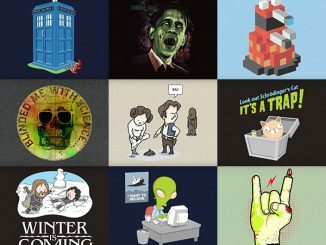 For Funny T-Shirts with a geeky vibe, you turn to Neatoshop.com. 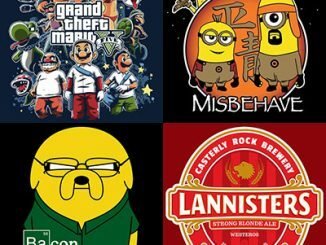 For funny t-shirts for free, you turn to GeekAlerts.com and our Funny T-Shirt Giveaway. If you win this contest, you’ll have an $80 budget to select up to 8 t-shirts of the size, style, and color of your choice. 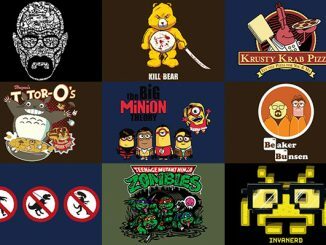 There are hundreds of funny tees to choose from, with coverage of all the geek favorites like bacon, video games, Dr. Who, Star Wars, zombies, and more. Since you can select the shirts you want if you win this giveaway, start things off by visiting the Neatoshop T-Shirts Category. 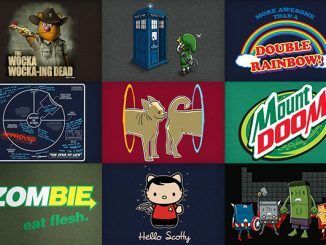 Browse the selections and pick at least one funny tee you would like if you win and post it in a comment to this page. Then use the Rafflecopter Giveaway form below to earn/activate your entries. If you’re the lucky winner randomly selected from the entries at the end of this giveaway, you’ll have an $80 budget towards the purchase of in-stock t-shirts from Neatoshop.com. Since their shirts are priced from $9.95 to $14.95, this means you’ll be able to select 5 to 8 t-shirts and have a new funny tee for every day of the week (or at least work/school week). Don’t worry, shipping is covered too! This sweepstakes is open to everyone 18 years of age or older world-wide, and you can earn up to 8 entries. You must enter by January 29, 2013 12:01 AM EST. I love the Winter is coming one! http://www.neatoshop.com/product/Im-not-a-Cloud-Im-a-Fart im not a cloud im a fart!! It has to be Real Zombies Don’t Run, also the I Heart Anatomy is really appropiate for my profession. I’d take any of the Bacon shirts! I also want the Fellowship shirt, Creepmobile, Dark Ring Invisible Power, Hippocrates, Where’s Higgs Boson, Young Schroedinger, … OMG there are too many to list! 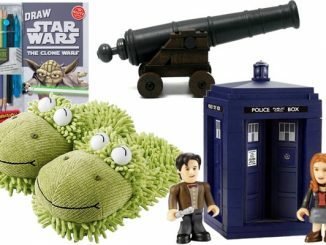 Anything Firefly or Dr. Who. 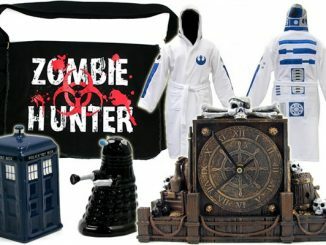 Got a 9yo Whovian that would LOVE her some Doctor shirts. Science Ruined Dinosaurs. My motto. Im getting the Darth Vader shirt and the Halo shirt. 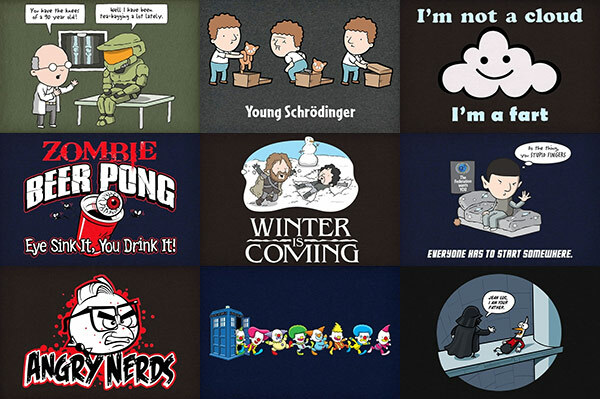 I love the “Winter Is Coming” T-shirt the most. “Schrodinger’s Cat: Wanted Dead And/Or Alive” is a close second. I LOVE the fellowship shirt with the smurf at the end also I love the Pixelated Triplets! I do so love the Halo teabagging shirt…even though I hate those lousy teabaggers! Runner up goes to the Dalek “Exterminate Me” prank. Classic. 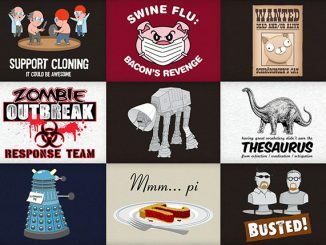 I think most of these shirts are some of the funniest I’ve seen. “I Survived The Mayan Apocalypse” – This shirt is awesome! OMG – I love the “addicted to silence” t-shirt that is tooo funny i love it!!!!!! I would get the pessimistic rainbow tee. I love the Sandpooper shirt, it’s pretty awesome! Anything Who or bacon would be great. OMG best contest ever, thanks so much for the opportunity! I love the “Remember Little Zombies, No Running!” shirt (http://www.neatoshop.com/product/Remember-Little-Zombies-No-Running) (L, black). -I Survived the Mayan Apocalypse. And then any Doctor Who t-shirts. Winter is Coming, I Survived the Mayan Apocalypse, and Cybercan. The Evolution of Gamers is pretty funny, but I would have to decide if I would get all of the shirts for ME or give some as gifts…hmmm…decisions, decisions. 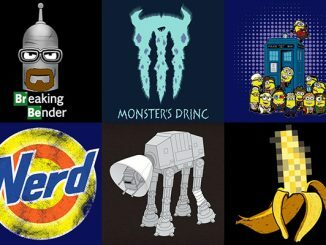 Any of the Doctor Who shirts! I want the winter is coming one! I like the following t shirt. I love the Warning: Accident Prone shirt. It’s the perfect way to warn people that hilarity will ensue as I fall down. Recession: It’s Why I’m Wearing This Crummy T-Shirt! is also a good one. Never Use a Big Word When a Diminutive One Will Suffice…for my husband. The Halo one is absolutely awesome. I almost ordered one around Christmas for myself but felt that was being greedy. Second choice would be the Game of Thrones one 🙂 Good luck all! Bring me the head of the bombad general. Total: 60.80 before taxes, I’m sure I could find one more shirt if I actually won. I like the Halo Shirt and the pink freud one. I love the keep calm eat bacon shirt. I think I’d choose Pixelate. Yooo, the I Blame Hipsters shirt is pretty cool! If I win the contest and I promise to spread the word on who’s clearly to blame for everything by wearing the shirt as often as possible. Aside from that, Welcome to the Gun Show, Rock Paper Scissors … Bomb!, To Be Or Not To Be – Misquote and SeQret Cat are all pretty cool too! I would like the Fellowship T-Shirt. I like the Science Ruined Dinosaurs one. I like the Clown Tardis and the Lederhosen. Love the Young Schroedinger shirt. so many cute shirts! 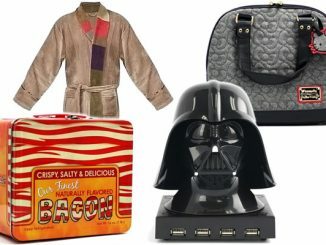 i like the clown tardis one. 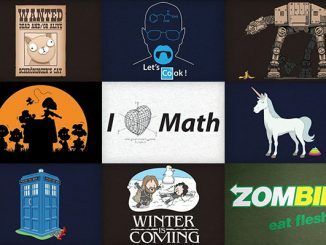 I would like the Winter is Coming shirt!, or the I’m not a cloud one!. Pessimistic Rainbow cracks me up! There are so many funny ones it’s hard to pick a favourite. If I win, I’ll let you surprise me. I want the “I’m Not A Cloud, I’m A Fart” t-shirt. Soo true! It is very difficult to make a selection. They are all very nice. I just need another t-shirt while my other one is in the wash. I loved the Slave to my Cat t-shirt. I like the young shrodinger. I’m not a cloud, I’m a fart. Winter is coming, i love that.. I would be the happiest person in The netherlands, maybe even whole europe, and maybe also on the whole world when i would win these shirts. I’m Irish – Do I Get A Free Beer? 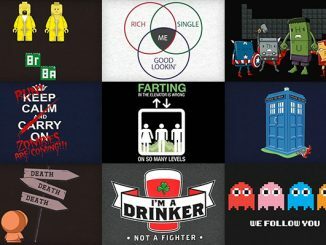 My favorite shirt is i’m not a cloud i’m a fart shirt, but i love them all. my kids would flip to be able to buy all the funny ts they want! I could go on and one!! 😉 Great shirts! The fellowship shirt is such a classic! But i think i’d also maybe love Winter is Coming! Warning: Accident Prone. is my favorite. 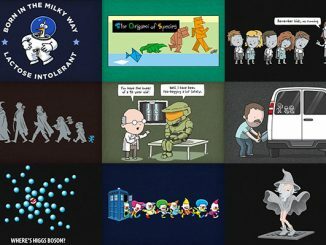 I’d choose Science tees (plus one Zombie tee). At least some of these: Powered by Caffeine; I’d Rather Be Carbon Dating; Subliminal Message; Where’s Higgs Boson? ; Quasars Are Far Out! ; Geologists: Experts in the Art of Subduction; Vegan Zombie. the Bacon periodic table is great for this bacon loving family….all the shirts are fantastic..somebody has a great sense of humour.. I like the Battle Damage and Science Ruined Dinosaurs shirts. I love the Santa Claus tshirt. I really like the Subliminal message t-shirt! A few of the shirts I like are “Cats prove that arrogance is bliss” , “Powered by Caffeine”, and “On the Keyboard of Life, Always Keep One Finger on the Escape Key”. It would be fun choosing the rest. Equal opportunity annoyer is my fav! I would love the Zombies Ate My Homework tshirt for my son! It’s his birthday on superbowl sunday! My favorite is SeQret Cat.